Industrial Automation And PLC Programming; The Basics - Equustek offers connectivity from DH+ to Ethernet IP, DF1-DH+, Modbus DH+, Ethernet DH+. Get Allen Bradley DH+, Industrial Ethernet, Modbus today. In the field of industrial automation, we have been seeing and experiencing technologies that have made the process one step easier with each development. From the simplest computing devices initially developed to replace hardwired relays throughout industrial manufacturing processes, to complex systems that enable manufacturers to generate performance reports, industrial automation has come a long way and manufacturing units have been competing for the cutting edge with these advancements. On the subject of advancements, two particular technologies that majorly revolutionized the concept of automation were PLCs and microcontrollers. Being on the same line of use, the two are quite often confused with each other and sometimes even understood as the same due to technical similarities. Here is some insight into the major differences between them. What is the difference between PLC and microcontroller? To put things in to perspective, a PLC or a Programmable Logic Controller is basically a specifically designed computing device used in industry automation. They can be said to be one of the first and minor advancements in the field, as their initial purpose as mentioned before, was just to replace hardwired relays or timers or other sequences used in the industry. Now there are much more advanced versions of PLCs designed to be scalable and dynamic, compatible even with lines based on robotics. For the same reasons, they are the most commonly adopted computing system across industries. They are also known for their ability to work seamlessly in rough or rugged industrial environments, not to mention their real time responses that save time. Microcontrollers on the other hand are much smaller computing devices when compared to PLCs. They essentially work on a single chip and they may contain one or more processing cores along with memory devices. The similarity with PLCs is that they too are used in almost all devices that play a role in daily activities, but the difference is that microcontrollers are specifically used in applications where only certain repetitive tasks are required to be performed. Additionally, they are also mostly bare and do not possess interface elements like display or switches like PLCs. Suffice it to say PLCs are generally considered better equipped for advanced and complex industrial environments. What are the three types of PLC? Unitary – which is the most basic and simplest type of computing device. It usually uses a single box to contain all of its system components including the processor and its input and output ports. Modular – which typically consists of several modules that can be clubbed together to form a customized computing device. It has a base module that takes care of regular or core functions including input connections, electrical power monitoring etc. The extra modules are usually signal converters or additional outputs that can be added as per requirements. 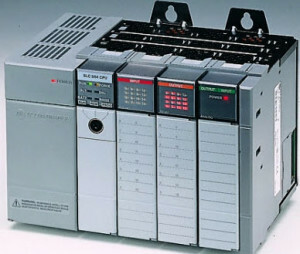 Rack Mounting – which is similar to the modular PLC, but differs in that each of the modules is usually distinguished from one another, unlike modular when each of them is connected to the base module. In Rack Mounting, all the additional modules are connected through a network and the modules are organized in the form of racks. What are the main components of PLC? 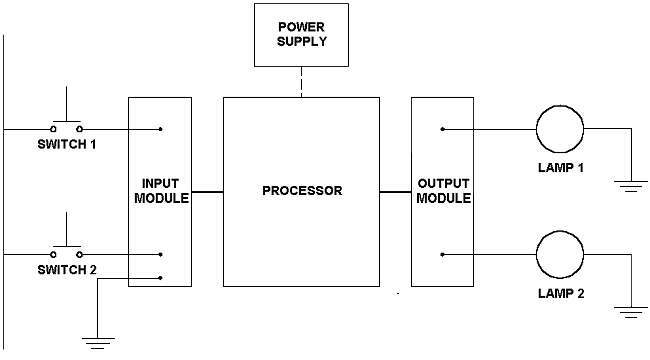 Typically, PLCs consist of 6 main components namely, the input and output modules, the power supply, the peripheral or interface components, the coprocessor modules and most importantly, the Central Processing Unit (CPU) which stores and runs the software programs processed by the software unit. Allen Bradley has been one of the most trusted and reliable names in the field of process automation software since its pioneer in the computing technology. Allen Bradley software basically consists of a group of intelligent and support technologies or products including input and output modules, programmable controllers or PLCs, motor control centres, portable data collectors, sensors and the like that aid industrial automation. Allen Bradley PLC programming thus describes the use of Allen Bradley software, more specifically the brand’s PLC in industrial automation. It is symbolized by robustness, reliability and of course high performance. High levels of efficiency are often associated with industries that use Allen Bradley PLC programming, as the brand’s systems are carefully designed to work seamlessly in complex industries.